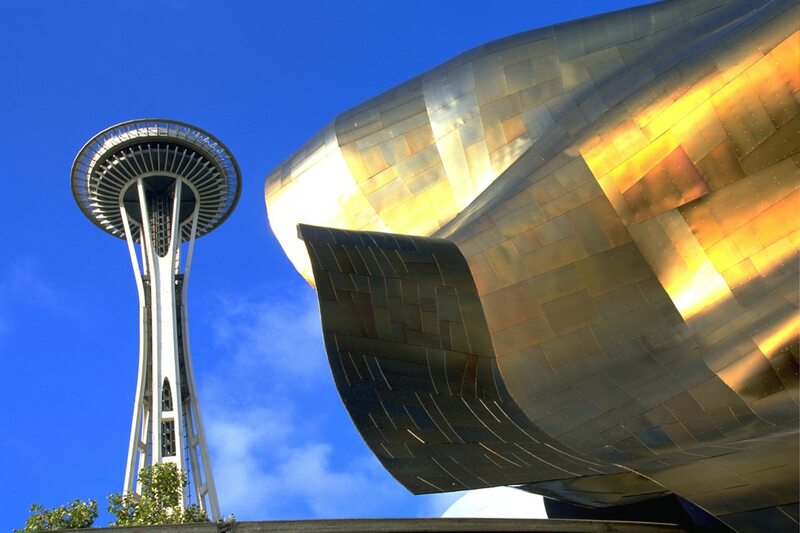 Planning a trip to Seattle and hoping to get beyond Starbucks and the Space Needle? We've got you covered. We asked Military Times readers who'd lived in and/or been stationed near Seattle to submit their must-do list for fellow service members and families either new to the area or just stopping in for a visit. Our half-dozen favorite selections are below, including some links and military discount information, where available. One note before you go -- or even if you're already there: Check out MilitaryMerits.com for updates on events and military discounts throughout the region, covering everything from pro sports to on-base entertainment. While the site's a product of Navy Region Northwest, many of its discounts are open not just to members of all services, but to veterans and military families. The Museum of Pop Culture, right, sits steps away from Seattle's Space Needle. What: The Museum of Pop Culture, or MoPOP, has undergone several name changes since its 2000 opening, the last one coming in November. But that didn't sour several of our readers on the experience, and the location doesn't hurt, either -- steps away from the city's iconic Space Needle. Why: Exhibits range from Star Trek to modern music to cartoons and beyond. Want to learn more about former 101st Airborne Division member Jimi Hendrix? MoPOP has you covered. Ever get stuck by a military regulation or procedure that seemed needlessly complex? Take in a Rube Goldberg exhibit, and learn the proper (and funnier) way to tackle such problems. Details/Discounts: Head here for more information. Military members can save $6 off the regular ticket price here. Seattle — high tech and highly caffeinated — is home to a major Navy complex in Puget Sound and Joint Base Lewis McChord. 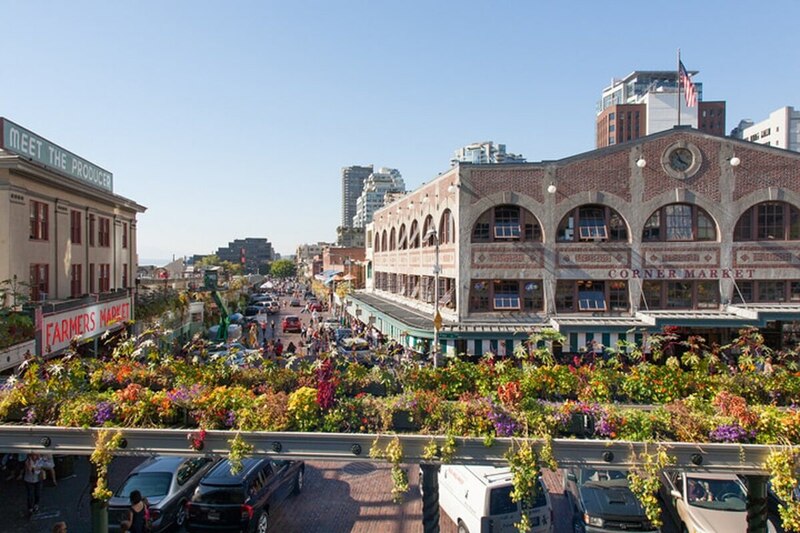 Pike Place Market will turn 110 years old on Aug. 17. It's one of the nation's longest-tenured farmer's markets in continuous service -- open 363 days a year, not including Christmas and Thanksgiving. The locally sourced fare begins with breakfast foods at 6 a.m. and wraps up with late-night snacks at some of the market's 80 restaurants long after midnight. Even if you're not traditionally a market shopper, there are plenty of craft stores and only-in-Seattle shops to peruse. There's also a Starbucks -- the first of the chain's stores opened in the market in 1971 and moved to the current location, 1912 Pike Place, in 1976. More on the market, including a visitor's guide, here. A bit about the military presence at the Starbucks counter in the second item here. Mount Rainier offers more than just a pretty picture for Seattle visitors. The 14,410-foot Mount Rainier is more than a beautiful backdrop to the city -- the national park that carries the mountain's name offers 260 miles of hiking trails. From camping to fishing to Ranger-guided events, it's a one-stop outdoor shop ... almost. Bikes aren't permitted on the park's hiking trails, but that doesn't mean bikers should shy away from the mountain. Far from it -- some of the trails outside of the park are ranked among the world's best for mountain bikers. The 12-mile (out and back) Skookum Flats Trailwas among those suggested by readers. More on the national park here. More on some of the biking and hiking trails via the Washington Trails Association here. 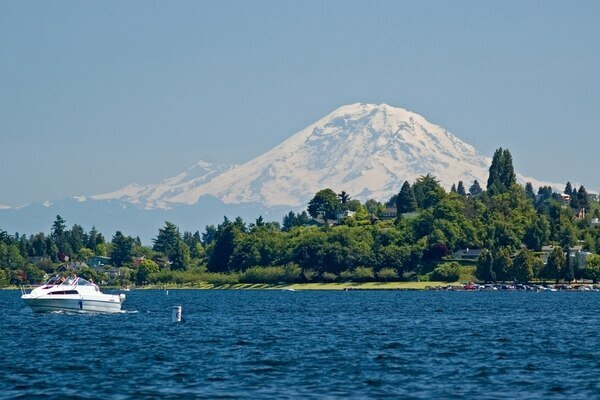 Bainbridge Island sits west of Seattle -- a ferry ride away from the city's center and a short drive for most sailors stationed in Kitsap County. Along with various outdoorsy tourist stops like tranquil gardensand parks, the island also offers a history museum that will give visitors or new-to-the-area service members a glimpse at the location's role in World War II. John "Bud" Hawk, who grew up on the island and earned the medal for his actions in France in 1944. During a battle with German forces near Chambois, Hawk became a "human aiming stake" for U.S. tank destroyers, according to his citation, running from his location to the destroyers to correct their range. Richard McCool shot down Japanese suicide planes and assisted in the evacuation of a damaged destroyer while commanding officer of a landing craft off Okinawa in 1945. He carried one of his men to safety despite his own injuries in the aftermath of the enemy attack, according to his citation. McCool and his wife moved to the island after his 30-year Navy career concluded. More on the Bainbridge Island Historical Museum here. Service members recommended multiple food and drink establishments, but one stood out not just for its reputation and its portions, but for its versatility. Founded in 1954, Beth's Cafe(open 24 hours) has found national fame thanks to its oversized meals -- a 12-egg omelette, for instance -- but remains a local mainstay, receiving many awards from area publications. One of those awards speaks to the cafe's cross-demographic appeal: A local magazine named it the area's best restaurant to cure a hangover. That might entice the late-night crowd, but it shouldn't scare away the family patrons -- all diners get crayons, and some of the most impressive art is on display. Also, the kids may appreciate the hand-dipped milkshakes. More on the restaurant at its website. How can you tell a restaurant's line might be too long? There's a TripAdvisor list of restaurants nearby. Nearby Tacoma has a museum district with a half-dozen offerings, from cars to glass-blowing. La Push Beach, a highly rated location on the Pacific, is about a four-hour drive from downtown, but an hour less, at least, for those in or around Kitsap County. The Hands-On Children's Museum in Olympia not only has high marks on social media, it runs a program specifically for some very important military families. Maybe you're making a return trip to the area and looking to expand your horizons. Maybe you're a soldier or an airman at Joint Base Lewis-McChord and want something a bit closer to home. Maybe you're eager to avoid the most commonly cited problem by our readers with visiting the area: Traffic.